Mud logging is the creation of a detailed record (known as a well log) of a borehole by examining the cuttings of rock brought to the surface of the earth with a circulating drill. Mud logging is commonly used in petroleum exploration, but it is also sometimes used when drilling wells for water or other mineral exploration. Rate of penetration - the rate at which the drill bit breaks the rock under it when it deepens the borehole. Porosity - the pore space within the rock structure. A good analogy is to think of the holes in a sponge, oil and gas resides within this space. Lithology - color, texture, grain size of the sample. Gas - heavy gases such as ethane, propane, and butane are detected to help determine the type of oil or gas that is contained in the location. Mud logging microscopes are used to measure the lithology (color, texture, grain size) of the sample, usually at a lower magnification (10x - 20x). 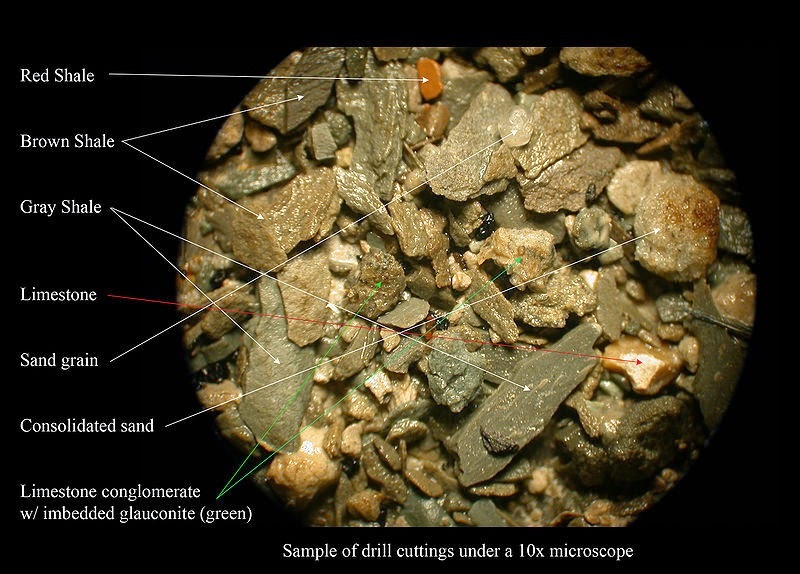 Below is a sample of drill cuttings of shale from drilling an oil well in Louisiana. In the image the sand grain and red shale are about 2mm in diameter. The sample above would be considered about 90% shale, 5% sand and 5% lime when listed in the mud log. 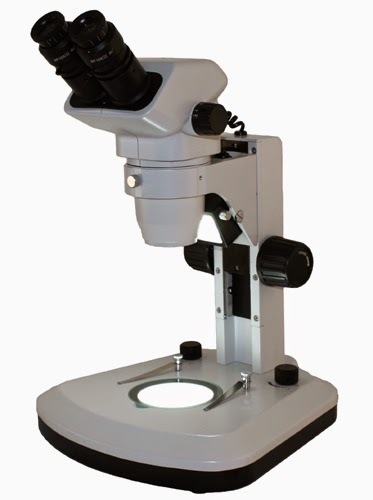 Mud logging microscopes provide magnification in the range of 10x - 45x and typically utilize either a ring light or a built in LED light on the stand. Some mud logging companies prefer a microscope with a camera in order to easily document their findings. Pseudo-darkfield illumination is sometimes used to bring out features of a specimen not normally seen under brightfield light. You can view mud logging microscopes here.